After his path-breaking music for Morning Raga alongside Manisharma made waves in the music world in 2004, Amit Heri was not to be seen much in the public eye for quite a long time, except for performances. After close to five years, this year he has come out with a bang, first with a contemporary jazz album and then with a world music album. While the former, Elephant Walk, is a re-release of his 1998 jazz fusion album, Jhoola the world music album is a fresh look at the folk music forms from various parts of India. Amit Heri talks to Music Aloud about his music and the contemporary Indian music scene. Elephant Walk some sort of tribute to Mancini? I went to Berklee first time in 1989 (17 years old) and finally came back in 1996. 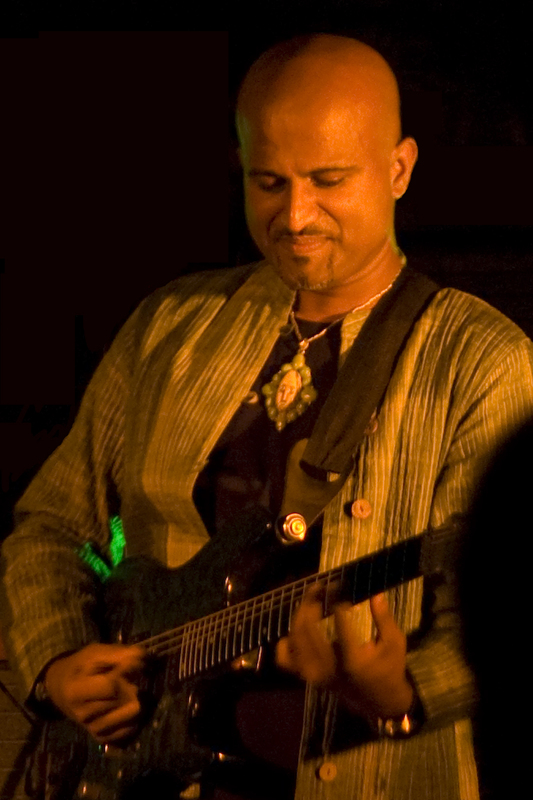 Between 1996 & 1998 (when I recorded Elephant Walk) , I was busy setting myself up professionally in India, playing with musicians like Ramamani, Louiz Banks, Shankar Mahadevan, Ranjit Barot, Karl & Keith Peters and many others. I also performed a lot with my group and composed music for dance, theatre, tv and radio. I also performed extensively in Europe with legendary Saxophonist Charlie Mariano during this time. I’ve visited the jungles of Bandipur and Madhumalai (close to Mysore) several times since I was kid. I think it’s the largest elephant sanctuary in Asia and is one of my favourite places. The tune was named after those magnificent animals – Elephant Walk. No connection with Mancini. After the release of Bangalore in 2000, there was a long hiatus till Morning Raga in 2004. What is it that kept you busy in those four years? I always keep myself busy with music – studying, performing, composing and teaching. During this time I was performing with Trilok Gurtu for almost 2 years all over the world at some major festivals. 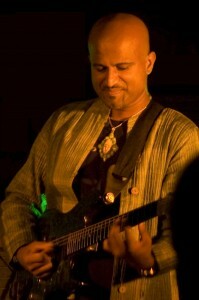 Also recorded with him, performed with my group in India and did a lot of composition/production work. Scored the music for Mahesh Dattani’s film Mango Souffle. Mahesh Dattani was also brought up in Bangalore? Mahesh and me are good friends and we have a great working relationship. We enjoyed working on Mango Souffle and Mahesh thought that my style would be perfect for what he had in mind for Morning Raga. there no further composition from Amit Heri in Bollywood? Being a Bollywood music director has never really been a great desire of mine. Hence, i haven’t made a conscious effort to get into the Bollywood scene. To work in Bollywood you need to be part of the scene, in Mumbai, hustling with the directors/producers etc or you need to be a hit in your local regional scene and get recognized there, both of which I didn’t really put energy into. Didn’t get any calls from Bollywood either in response to Morning Raga. That’s the reason. An integral part of music for me is the interaction of musicians on stage and the energy that comes from that. For the majority of my study & career, I have played & performed with musicians & that defines me as a musician. So, naturally when I compose or produce this aspect is a strong influence in how I feel and think about the music and I am conscious about capturing this in the recording. Besides, an album for me is something that I want to take on the road & perform. That’s the end goal of JHOOLA too. As a musician, you need to study, experience, have a deep understanding intellectually and emotionally and be able to express naturally in each form of music before you try to bring multiple forms together. Only if you have experience & understanding of various cultures as a human being first, will you be able to create music that sounds natural and with meaning while bringing together multiple styles. Not many people have this experience and try their hand at ‘fusion’, perhaps resulting in a lack of depth as perceived by listeners and hence the criticism. Are you influenced by Indian film music? Who is your favourite Indian composer? I’m not really influenced that much by Indian film music. Although, I do enjoy the melodies of songs from old Indian films – beautiful. Amongst the present – day music directors, I enjoy Rahman & Shankar Mahadevan’s works. rock/jazz elements coming in (Leaving out the plagiaristic inclusion of such music!!). Rahman was the one who really started the trend and now it’s become part of Bollywood music. I like it when done well. you think the reason for this could be? To make it in the international scene, firstly Indian artists need to have ‘something to show’ that works in that scene and then either need to work with well known international artists/producers or have artist managers, promoters, booking agents who can push them into projects abroad. Very few Indian artists have been fortunate in achieving that. Jhoola. How much longer will fans have to wait for Amit Heri’s next album? I have enough music to record at least another 3 albums. If there are companies wanting to do that, it will be sooner than later. For the sake of good music, Music Aloud hopes that companies come forward pretty soon to make those prospective albums happen. You can read Music Aloud’s reviews of Jhoola and Elephant Walk by clicking on the album names here. « Its Rahman and Jagger next! !